Location:Spokane South Hill- just north of 29th and Glenrose Rd. School District / Schools:School District 81. Ferris High School. Chase Junior High. Moran Prairie Grade School. Shopping / Entertainment:Hangman and Qualchan Golf Courses 10 minutes, Downtown Spokane 10 minutes. Spokane International Airport 15 minutes. Driving Directions from I-90:South on Freya to 29th, Left on 29th to Glenrose Rd., Left on Glenrose to 25th Ave., Right on 25th Ave. When you choose to have Paras Homes build your new home, you are putting your trust into a team that understands the principles of Quality, Craftsmanship, and Consistency, regardless of the size of the project. Whether you are buying a home for the first time…or the last, Paras Homes will deliver. 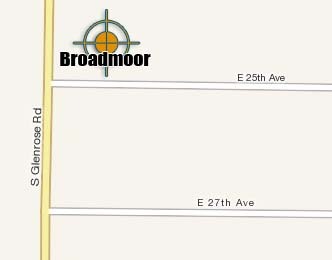 Broadmoor is one of the premiere private gated communities on the Spokane south hill! We currently have two 1+ acre lots still available, and both feature extraordinary views and cul de sac privacy. All types of home floor plans are available. Broadmoor is nearly sold out!